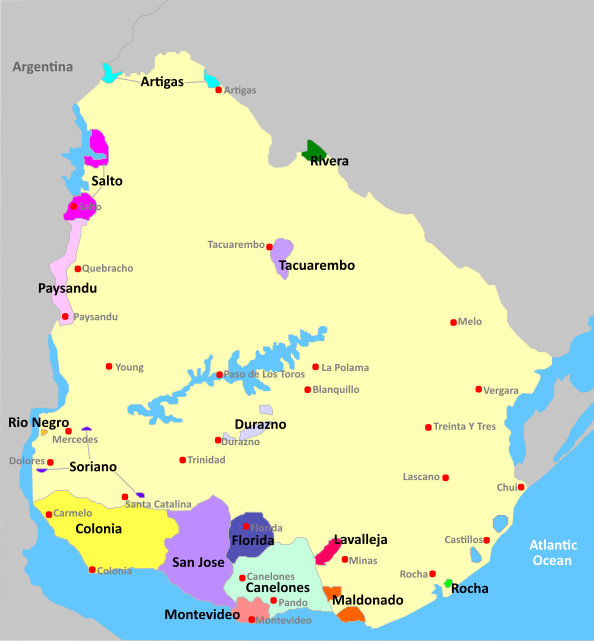 Uruguay, with its Atlantic Maritime climate, is a small country but justly famed for its wines, most especially for its work with France's Tannat grape variety. Tannat originates in the Gascony region just south of Bordeaux, and in that part of the world it makes tough, pretty tannic (!) wines especially from the Madiran appellation. In Uruguay however, the grape makes a plump, rounder style beautifully suited to roast and grilled meats. Sometimes blended with other Bordeaux varieties, these wines, especially from the coastal Canalones and Maldonaldo districts, are quickly becoming known worldwide for their quality and distinctiveness.